Durga Puja time table is always important for Indian. This Puja has various date and time which is important to know. Because Nothing like Durga Puja, it's not a Festival for us it's an Emotion. In this Pujo People, Food, Pandels everything is so differents. All the people of India most of West Bengal people Waiting for this Festival, it's the Festival of Mother Goddess Durga over the Victory of Mahisasur. 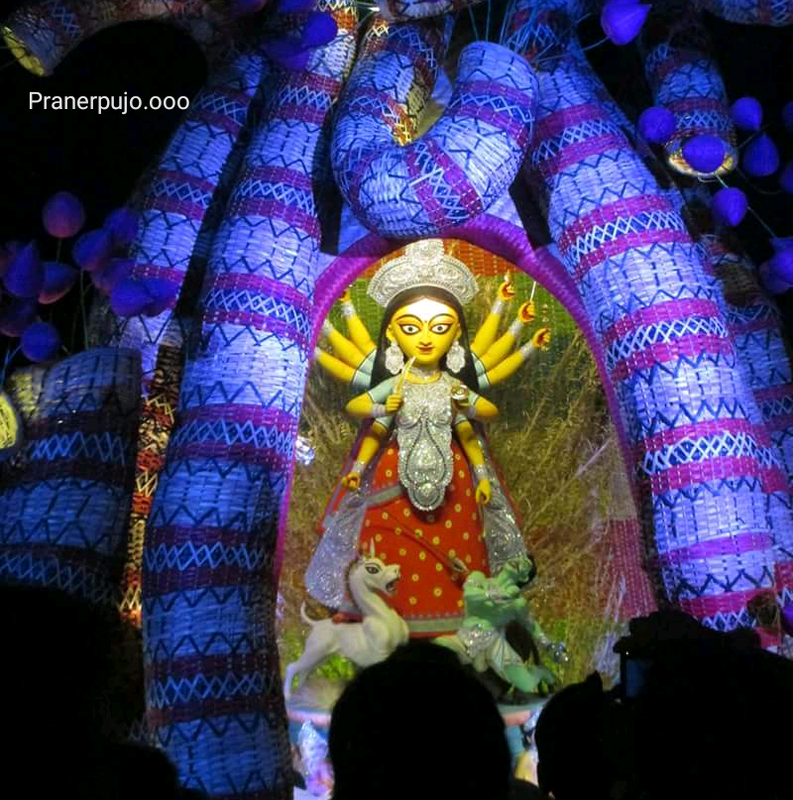 It's also the most Expensive festival in West Bengal, the theme of the Pandels are so Expensive and Have a touch of pure Artistic. Here Are also have too many Puja which is famous for its historical Memories. Some of the Puja were 200-300 years old, so it has a great value for us. Everyone starts their preparation for this Puja before 4-5 months ago. So you can understand how much big is it. Many of the Puja has some Social message to motivate us. "Sasthi" • "Saptami" • "Ostomi" • "Nabami" • "Dhosomi". And Before 7days ago "Mahalaya" is an important event, it's an historical event. 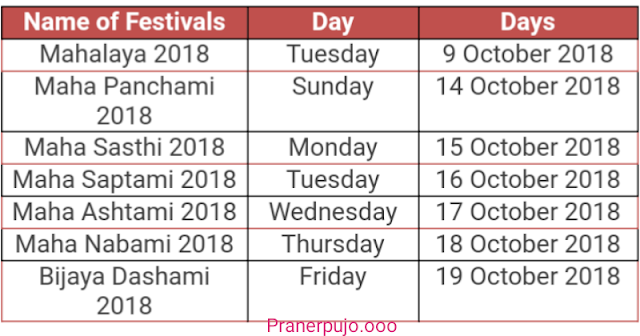 Puja- Nabami Puja, balidan,homa puja. 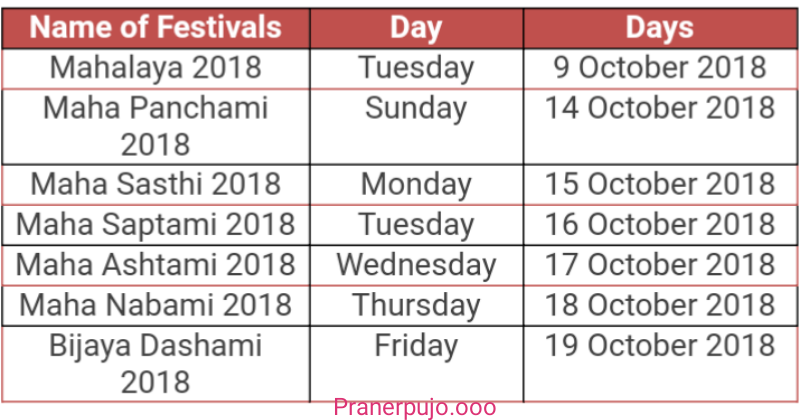 Dashami will start at 15.28 on 18 Oct and ends 17.57 on 19oct. In most of the states excluding West Bengal, the establishment of the state is changed on the next day of the month of Mahavaya Amavasya. Due to the Durga Puja, it is similar to the Kalapradha, which is called the Goddess Durga. Usually Kalaparambh is done on the date of Shishti during the Goddess side. 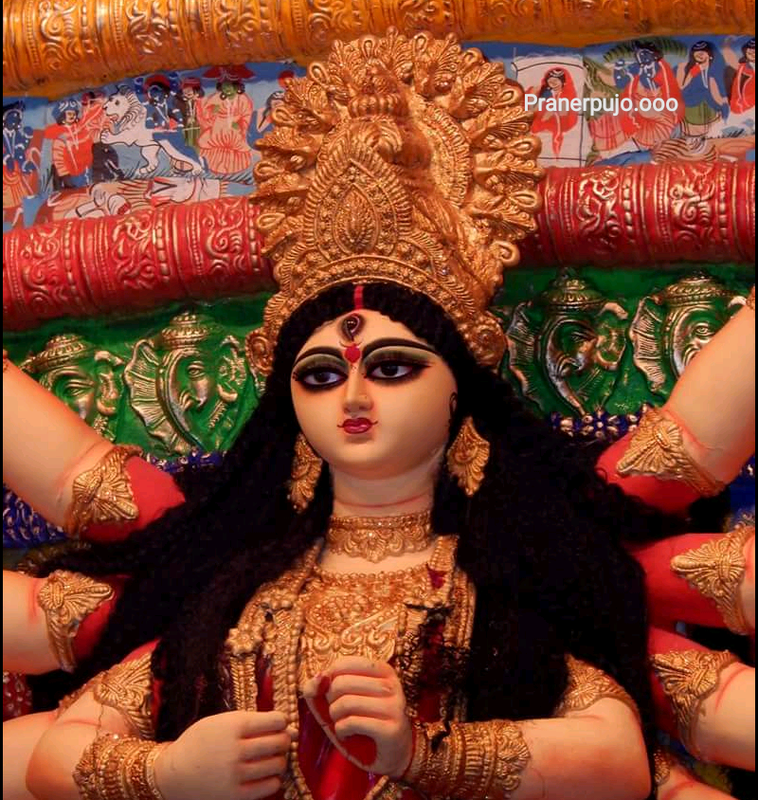 According to regional practices and perceptions, Durga Puja which occurs during Shardhiya Navaratri can take place from 9 days to one day, which has also been mentioned in Dharasindhu. The goddess side starts from the next day of the mahaya amavasya of the paternal side. Goddess Durga arrives on earth on the first day of the Divine Day and she departs on the day of Durga immersion. Durga's arrival and departure day are important and the time coming from these days is estimated. Based on this estimate, the time coming is declared auspicious or inauspicious. *We Hope this post will help you for this year Pujo. 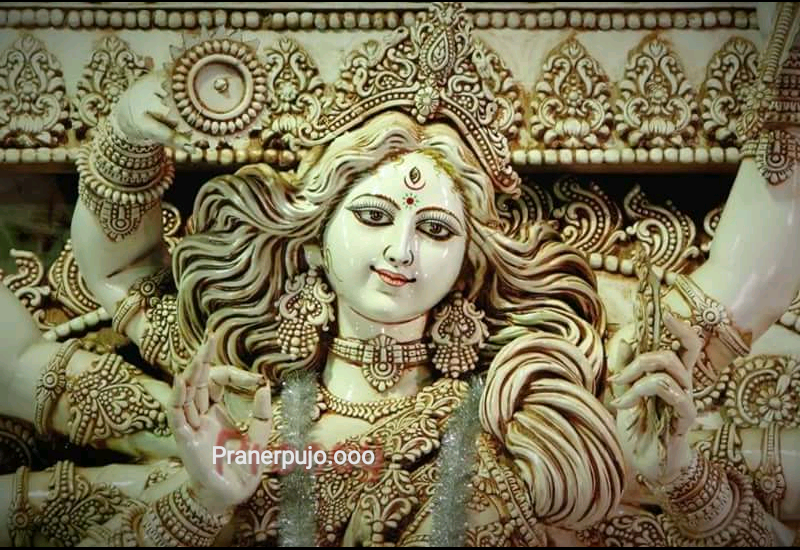 Make your Puja Great with us just keep visiting here, because here you will find everything related to DURGA PUJA. If you have any questions then comments us.